Sheriff Jody Ashley was sworn into Office in a Ceremony December 28th 2015 at the Wayne County Courthouse. 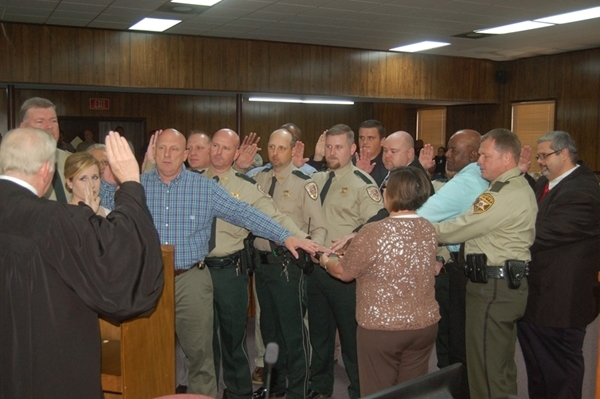 Chancery Court Judge Frank McKenzie administered the oath of Office to Sheriff Ashley as well as his staff. 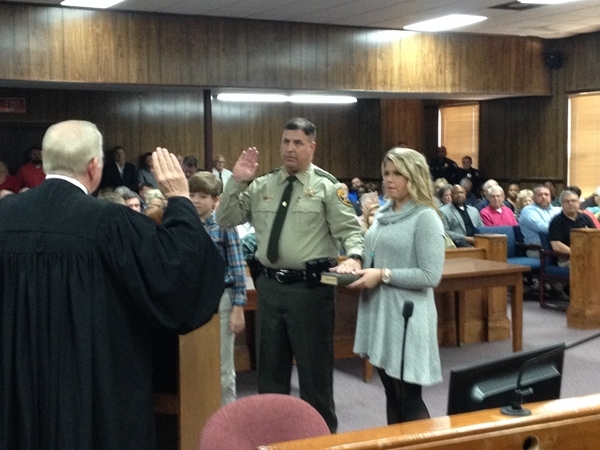 Sheriff Ashley's daughter, Madison, held the Bible as the Oath Of Office was administered. Judge McKenzie also swore Sheriff Ashley's Deputies and Investigators at the ceremony.